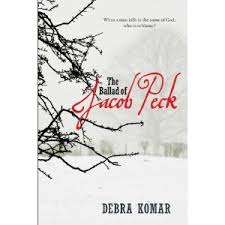 A true crime set in the Maritimes and passed down through the generations in song, novel and journalism, “The Ballad of Jacob Peck” may have reached its final destination with this definitive re-telling. Debra Komar, a forensic scientist and international human rights investigator, digs deep into archival documents to explore the grisly murder in 1805 of Mercy Hall by her brother Amos Babcock at his home near Shediac, New Brunswick. Babcock was soon arrested, tried in a court of law and given the death penalty. His crime was committed under “God’s instructions” from itinerant preacher Jacob Peck. Yet Peck was not held accountable and the author wants to know why. The late Canadian musician John Bottomley wrote a haunting 1992 ballad of the same title. His lyrics inspired Komar and prefaces this book. Peck could “whip you into a frenzy at his mad house revival parties,” Bottomley wrote. Mercy Hall was “of melancholy disposition” and Babcock’s wife and nine children watched in horror as “Babcock drew a knife and sharpened it” before committing the heinous deed against her. Kormar’s careful and well-sourced version of these events moves artfully from the present, as the author describes her research hunt, to the past, with its rural landscape of snowbanks on dark winter’s night. Kormar also makes note of a “broken telephone” of errors and misconceptions as the story was re-told down the generations. She is clearly after the truth. The author’s frustration over gaps in the historical records, such as discarded trial witness statements, is compensated by her ability to nevertheless vividly re-construct the crime and aftermath, in a frontier colonial society populated with interesting and sometimes colorful people. The humble status of the farming people depicts the fragility of their existence. Babcock, poor and illiterate, did not have a defense lawyer for his own trial, for instance and a consequence of his crime included confiscation of property by the government, leaving his wife and children destitute. More information is available about William Hanington, a prosperous man from whom Babock rented a small house and piece of land. Lawyers and judges involved in Babock’s trial also left a thicker paper trail and are more easily researched. Their education, wealth and family connections gave them considerable influence—and responsibility–over the lives of others, as this story underlines. No one, rich or poor, escapes the author’s scrutiny. Take for example, Robert Keillor, the town jailor at the Dorchester Courthouse and owner of the tavern situated above the jail. Though he was of good family stock, Keillor was “something of a drinking man.” As Babcock’s keeper, Keillor got to know him well and Keillor’s testimony at the murder trial would prove to be significant. Another person not to be overlooked was Babcock’s cellmate, John Jerome. His destiny became darkly entwined with Babcock’s. Finally there is the elusive Jacob Peck. His role in the crime based on evidence provided, is left for the reader to determine. At story’s end, however there is much more than Peck’s malignant spirit to ponder in this richly woven tale from Canada’s past. Reprinted from Maple Tree Literary Supplement, an on-line journal, #15.